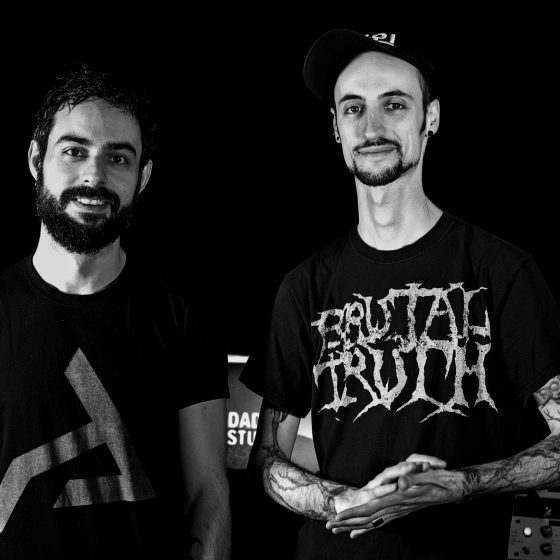 Dadub is a project formed by Daniele Antezza and Marco Donnarumma, dedicated to combine Sound Design and Audio Engineering Experimentation with the aesthetic and musical heritage of Bass Music, Voodoo, Ancient Alien Rituals, Chaos Magick. 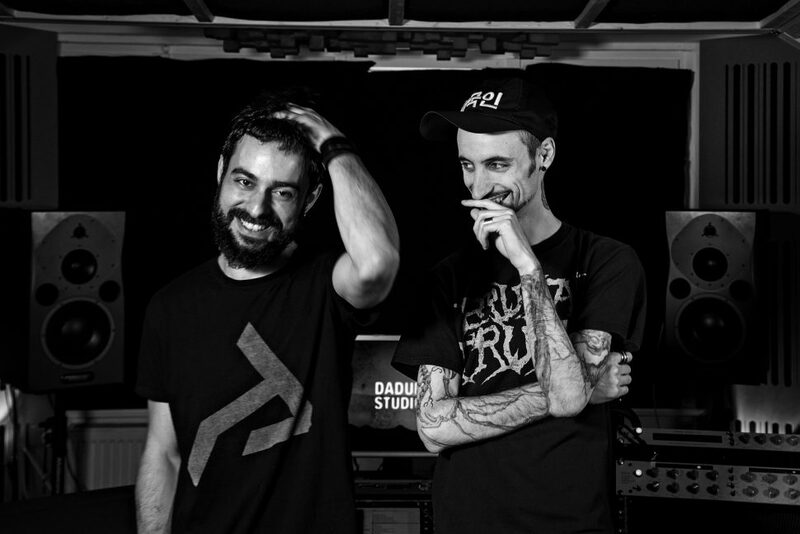 After several years of collaboration with the groundbreaking label Stroboscopic Artefacts – whose aesthetics and musical output they profoundly influenced – Dadub reached a peak in 2013 with the release of the Debut Album “You Are Eternity”, whose critical and audience acclaim brought the duo to perform in festivals and clubs worldwide. 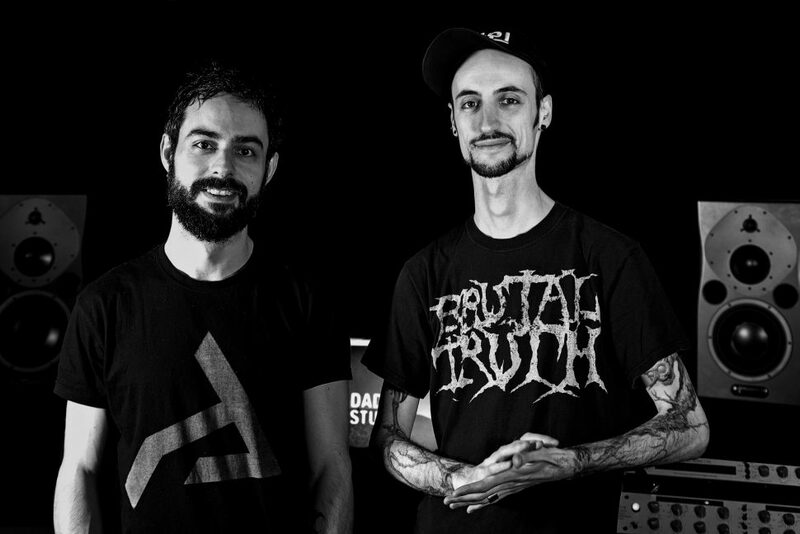 After some years of silence and countless hours experimenting with new dub techniques inspired by obscure science fiction material and the physical force of low frequencies, Daniele and Marco have been evolving the signature Dadub sound into a new auditive universe of “Post-Apocalyptic Dub”. After almost 2 years of intense studio operations, they have accumulated 3 yet-to-be-released EPs and a brand new live show. Their new music will appear soon this year, starting with an exciting AAVV project for In Silent Series (alongside with Sigha, Positive Centre and SNTS).